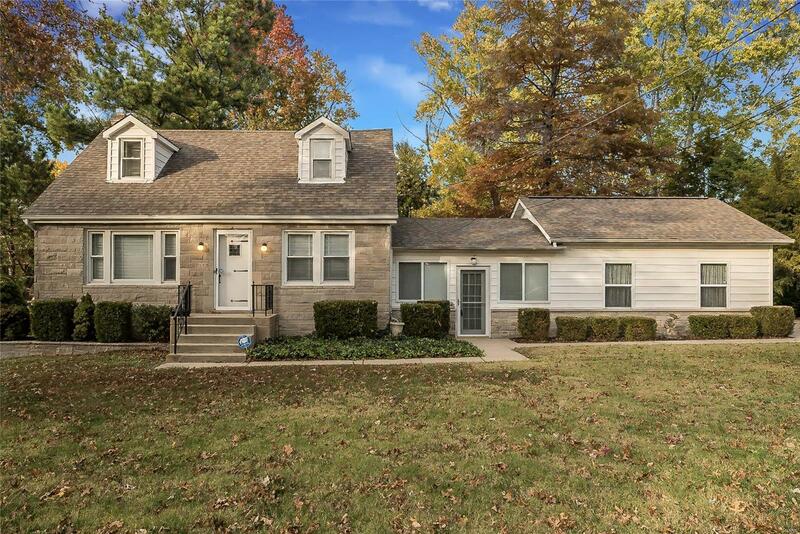 This 1.5 Story features stone front and architectural roof enhancing the great curb appeal of this home on sought-after street in Affton. 2 bedrooms, 1.5 bathrooms and 2-car side entry garage with over 1,600 sqft of living space on amazing level lot. Refinished hardwood floors upon entry in living & dining rooms with coved ceilings. Main floor master with dual closets and hardwoods that flow through hallway. Full bathroom with updated sink. Eat-in-kitchen offers plenty of cabinetry, updated flooring, pantry and refrigerator that stays. Steps away is a huge sunroom with its own heating/cooling all overlooking park-like backyard with mature trees. Wood staircase leads to loft, second bedroom with walk-in closet & updated half bathroom. Close to shopping, restaurants, highways and public transportation.